Spring is around the corner, and while my desire to knit usually declines as temperatures rise, I just HAD to make this guy. I mean, isn’t he just too stinkin’ cute? I bought Rebecca Danger’s book ‘A monster nursery‘ a while ago, and have been using it again and again. The yarn is Rowan Yarn’s new Cotton Cashmere. I don’t often knit with Cotton, but I did enjoy working with this yarn, and my finger’s didn’t get sore from holding the yarn as often happens to me with cotton. You can find my project notes on Ravelry. I’m going to be an auntie this summer, so I see lots of baby knits in my future.. but don’t you think it’s frustrating how quickly they outgrow things? I mean, you spend FOREVER making them and they wear them for one month and oops, it’s already too small. I therefore prefer giving toys and plushies, as they last a lot longer. It wouldn’t be an IamSnowfox project if I hadn’t tweaked it – see that green ring peeking out under Vinny’s bum? If you pull on the ring, the melody of Brahms’ Lullaby starts playing. You can buy pull string music boxes to add to your projects on all sorts of craft websites. They are mechanical, so you could technically wash them – I’m just not sure whether they might rust. I have yet to see that happen. I have also given Vinny V different ears – I wanted bigger ears than the original pattern provided, so I crocheted my own version them to make them a bit sturdier. They somehow remind me of Shrek’s ears. He’s an ogre, ogres are monsters, so that works, right? Vinny is off to his new home soon, but there will no doubt be countless more brother and sister monsters finding their way into my friend’s kid’s bedrooms. Phew. It’s been a while since I blogged. Apologies for being absent, but as the wise John Lennon said: Life is what happens while you’re busy making other plans. It seems to be a thing in recent years to start my new year with big changes. Fast forward from my first blog post in 2014 – I have again moved and been busy trying to settle in a new life. I haven’t forgotten my dear blog and readers, on the contrary. There will be some exciting news very soon, just hang in there! 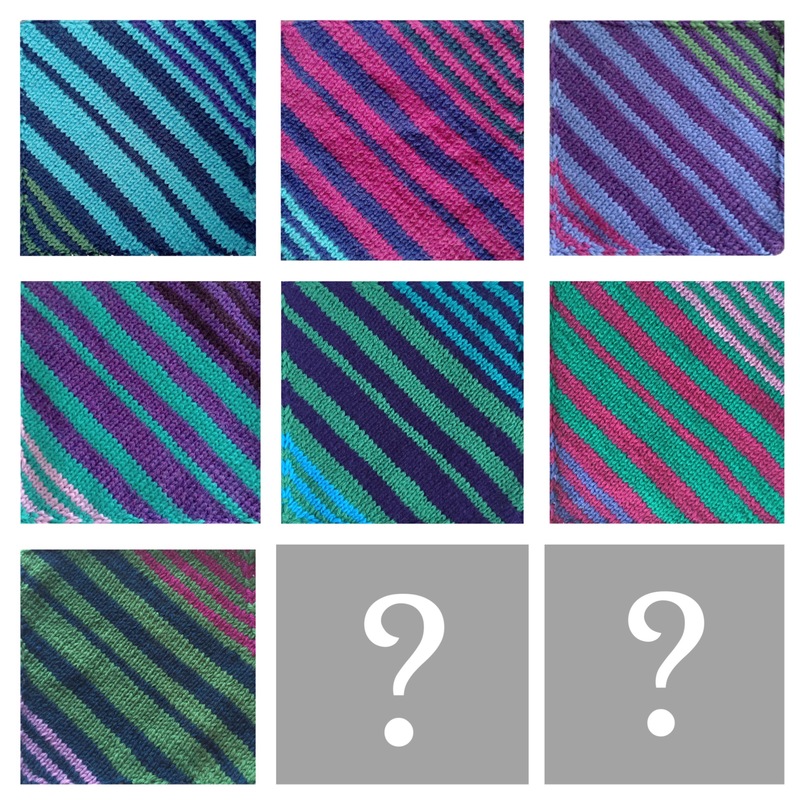 In the meantime, I’m working on a final version of the Kaffe Fassett Mystery KAL Charts which will soon be downloadable as a single file for all clues in the different colourways. 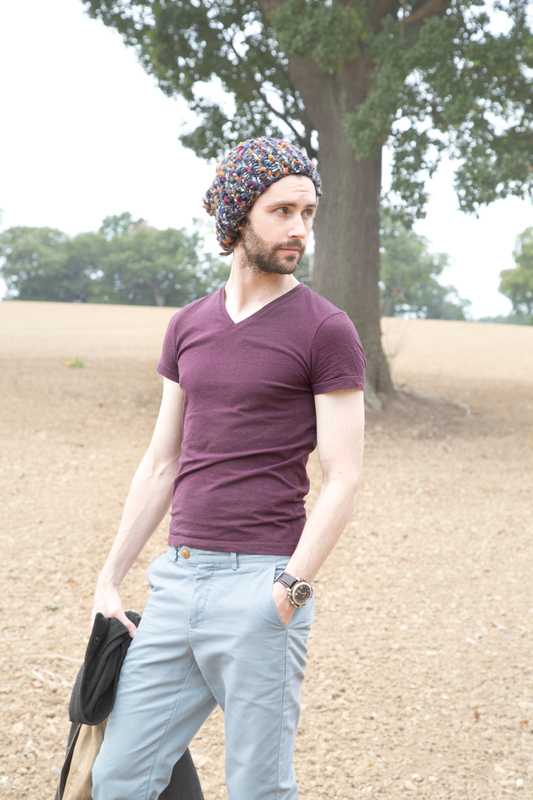 There are also some new patterns in the making, as well as my first ready-to-wear hat collection. I’m a visual learner, and my biggest insprations always come from things I see in everyday life, images, situations, people. 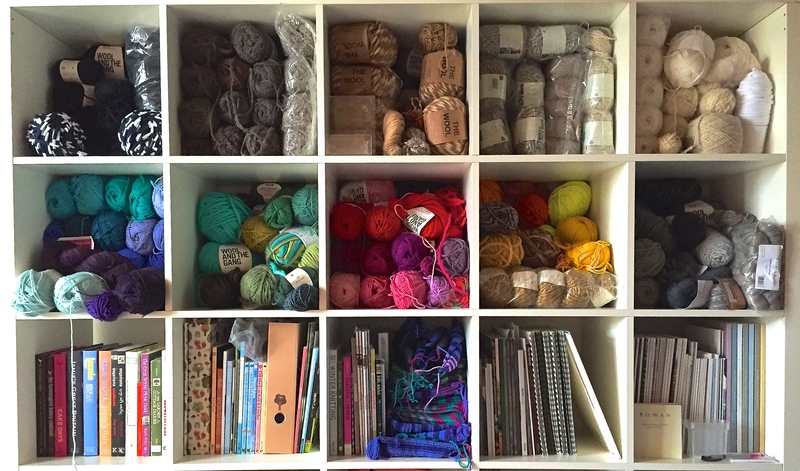 Just looking at my pretty yarn storage gets my creative juices flowing. Where do you go for inspiration? I love Pinterest for organizing images that inspire me, I honestly don’t know where I would be without it. My head would probably explode because of complete overload. On Pinterest, I can be as OCD as I like and put everything into neat little boards organized just the way I like it. Who said OCD and creativity didn’t go well together? Are you on Pinterest? I’d love you to share your usernames and connect with IamSnowfox! It’s here! WE MADE IT! 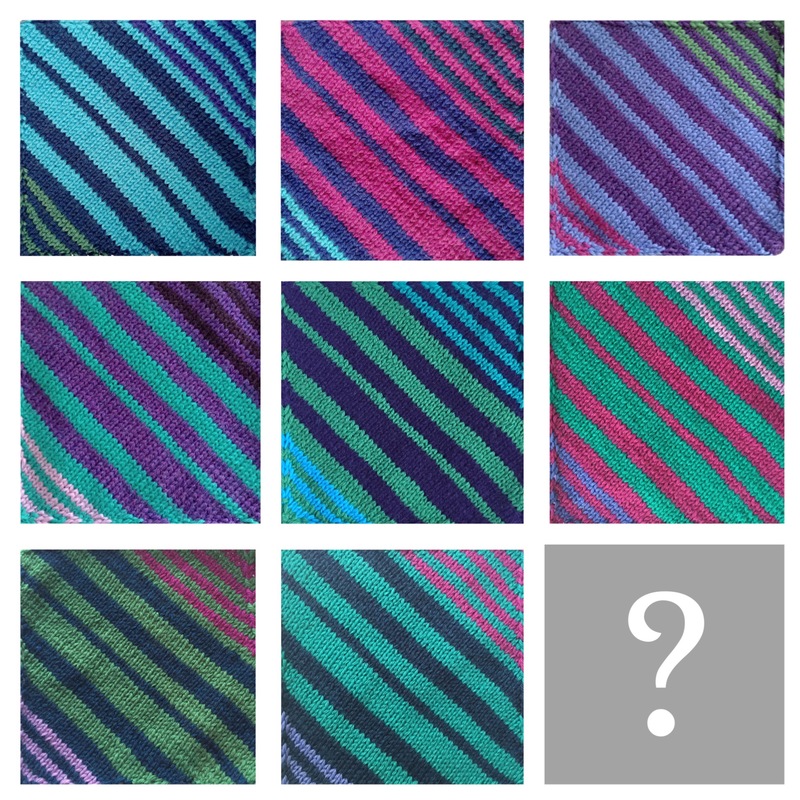 The last installment of the Rowan Yarns Kaffe Fassett Mystery Afghan has been revealed. 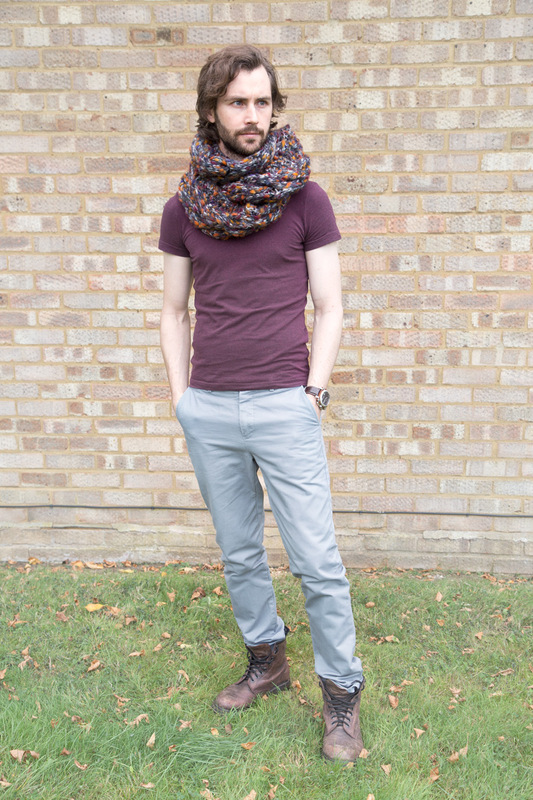 No more mystery.. and it has a garter stitch trim knitted in short rows too! How cool is that. You can find instructions for the last square, trim and making up info on the Rowan website as usual. Square 9, Garter Stitch Border and Making up info are all just one click away. Clue 1, Clue 2, Clue 3, Clue 4, Clue 5, Clue 6, Clue 7 and Clue 8. In case you need help or advice when knitting the border, why not check the official thread on Rowan’s Ravelry group. Shortrows may be new to some, but fear not, they sound more complicated than they really are. I find the tutorial by Purl Bee easy to follow and understand, once you’ve got the hang of it you’ll be zooming along in no time. And here are the last ever charts for this knit along, I won’t be making any notes on the trim for now as I haven’t decided whether I’m making one or not. As usual, the brown chart is courtesy of Nottingham Knitter. Her post on square 9 will be up a little later today. Are you keeping up? Or are you panicking over gift knitting? Who’s making the Kaffghan as a Christmas present? There’s no way I’m giving mine away.. haha! I may even make another one in different colours, that’s how much I loved making this one. In any case, I hope everyone has been enjoying this KAL as much as I have, I am looking forward to seeing all the finished Afghans on Ravelry. Make sure to take a picture and participate in the competition (more info on Ravelry in January). Happy Knitting and Merry Christmas everyone! December has arrived and with it the 7th clue of the Rowan Yarns & Kaffe Fassett Mystery Afghan KAL. We’re almost there now, only 2 more empty fields on the mystery grid. It makes me visualize how far we’ve come and how little there is left to reveal. If, like me, you’re making the full sized Afghan, you will have knitted 49 squares. That’s 21 more to go. I’m suffering from real square overload now. They’re everywhere. 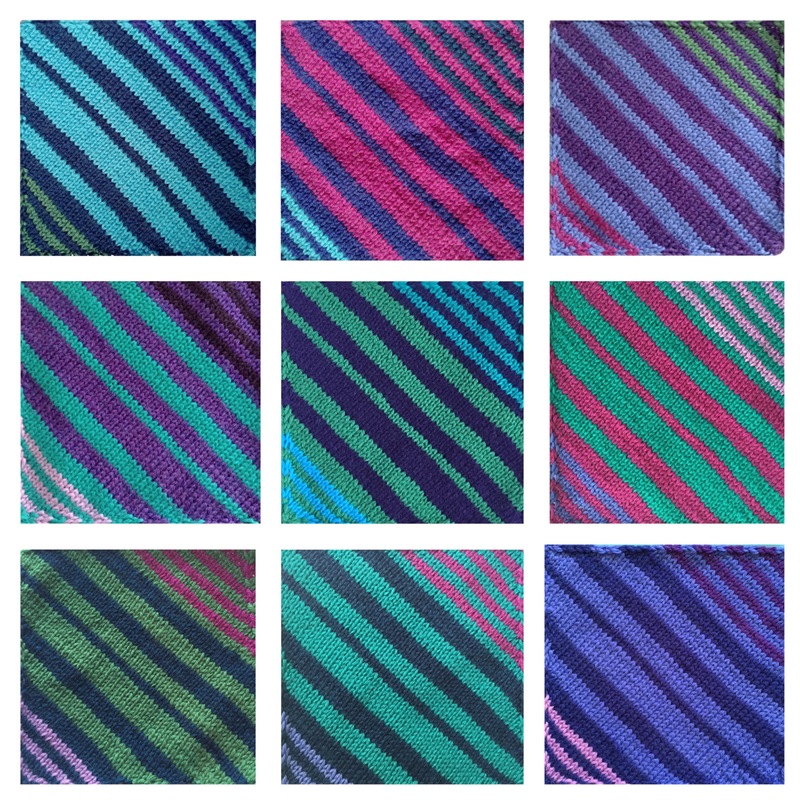 I even dreamed about knitting squares the other day. It’s time this KAL is finished I think, I for my part will not knit anything square or stripey for a while. As usual, you can download the full instructions for this week’s clue from the Rowan website. Clue 1, Clue 2, Clue 3, Clue 4, Clue 5 and Clue 6. Nottingham Knitter Sarah is of course ahead of me as usual, she’s super fast with her brown chart, so why not visit her blog post and check out her progress? You probably know the spiel by now – in order to get the charts, click on the images which will open the full sized .pdf instructions. Simply click print or save to your computer or mobile device. Keep your motivation up guys, we’re nearly there! 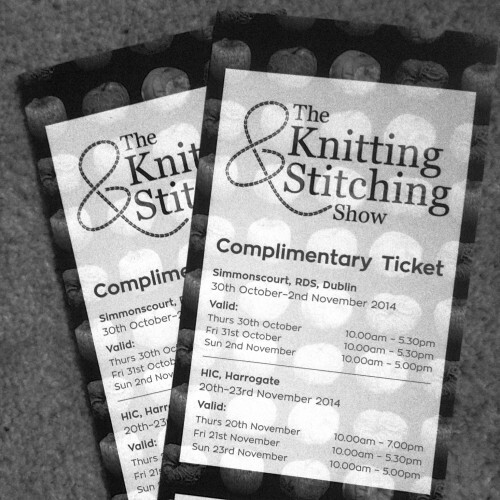 Until the next clue – Happy Knitting! This week however, there is a nice little surprise – Rowan have released a video of Kaffe assembling the different colourways. Of course I have no self restraint whatsoever, I had to see it immediately and now I’m looking even more forward to the next weeks! It’s going to be a gorgeous blanket and I can’t wait to snuggle up under it. 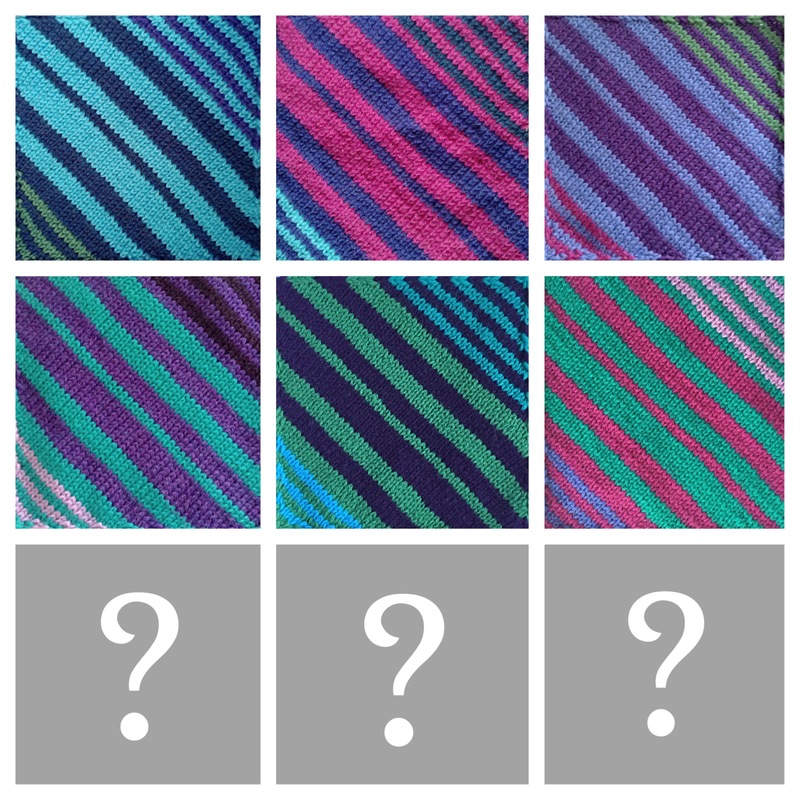 If you want your colourway to remain a mystery until the end, do NOT watch the video as the final layout is revealed. My squares are coming along nicely and I’m still liking my little modification. You can download the cheat charts for each colourway by simply clicking on the image. The .pdf with the full instructions will open in a new window, simply click print or save to your computer or mobile device. As every week, the brown colourway is courtesy of Nottingham Knitter. Sarah has some wonderful tips on her blog, go check out her post here. Are you as excited as me about finishing up and assembling? Have you maybe started sewing up your squares after watching the video? 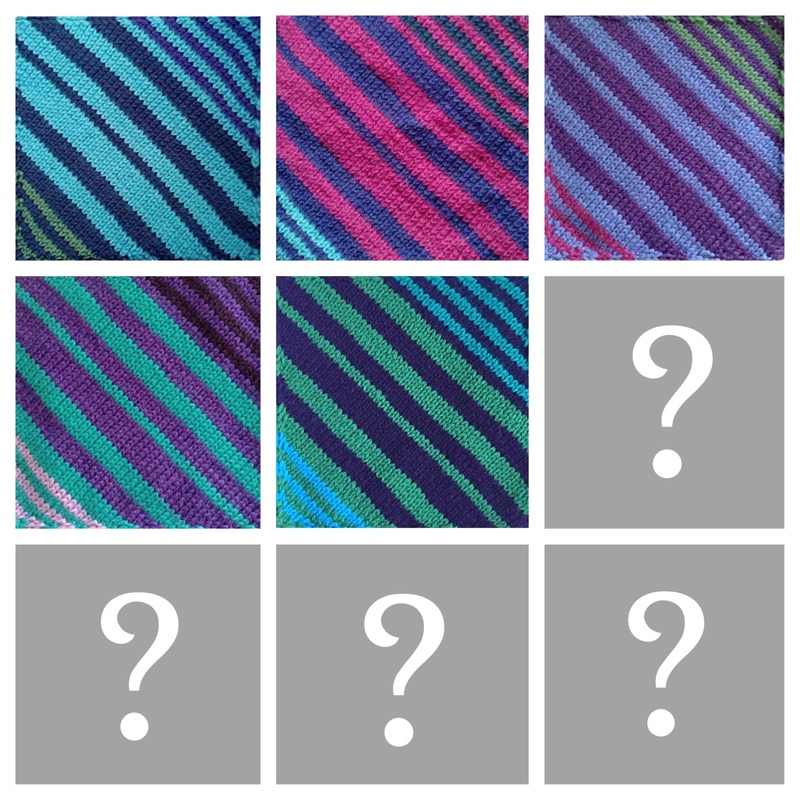 I’m tempted to get going but I think maybe I should wait until all 9 colourways are out and I can decide whether I want to stick to the brief or do my own thing. Either way, I can’t wait for the next clue. See you then! Clue 4 is out! 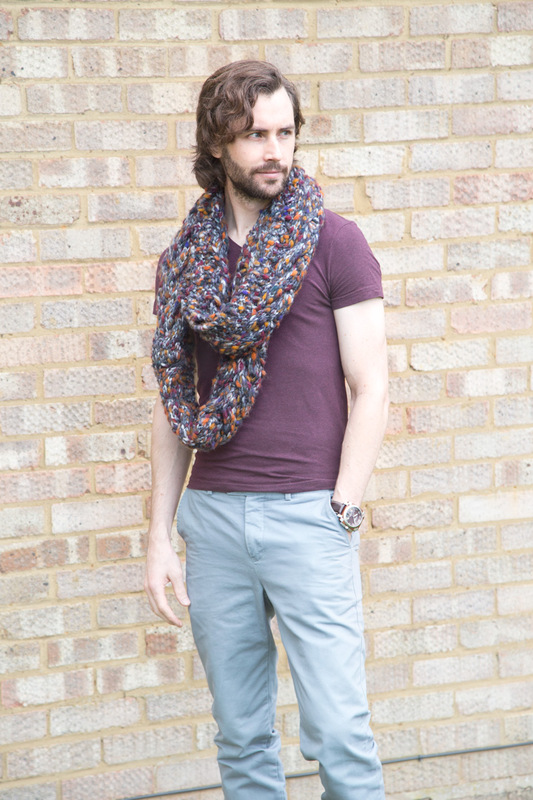 You can download the original instructions from the Rowan Yarns website as usual. This week’s square is my favourite so far, mainly because I absolutely adore Peacock, I think it’s my favourite colour of the whole set. If you’ve finished all your week 3 squares, just think about how we’re already 30% finished! I’ve so far had no problem keeping the pace, and if I can keep it up there is a good chance I’ll actually finish before Christmas. Sounds pretty exciting, don’t you think? 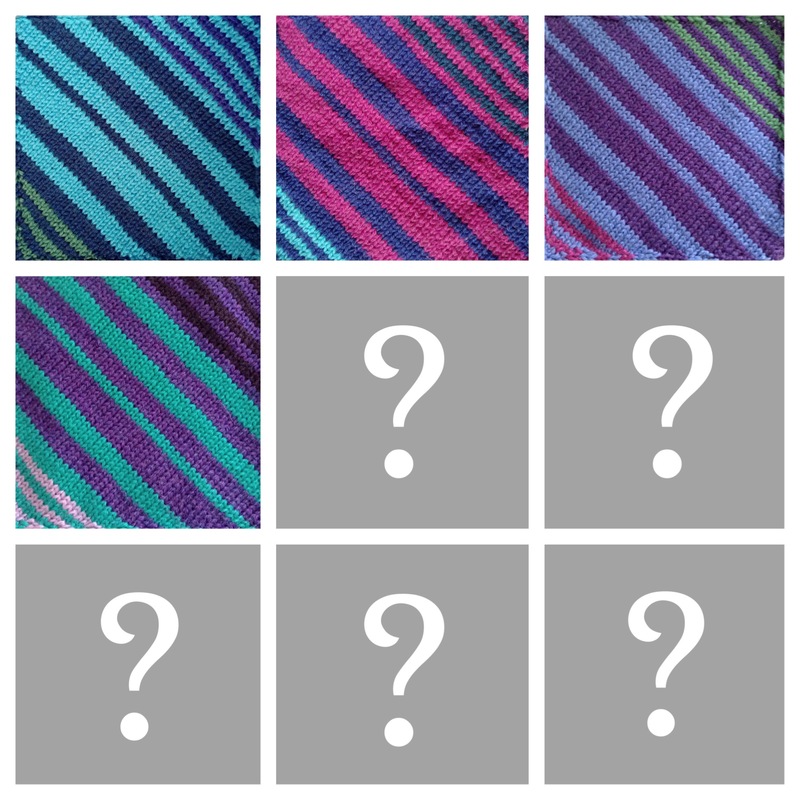 If you’re new to my blog or just getting started with the Mystery KAL, you may want to check out Clue 1, Clue 2 and Clue 3. As you probably know by now, I have slightly gone off the original design brief by changing the thickness of the stripes in my version. I still like it and can’t wait to see how it’ll look sewn up. And now the bit you’re really here for.. this week’s charts! Simply click on the images to open the .pdf with the full instructions, then click save or print. 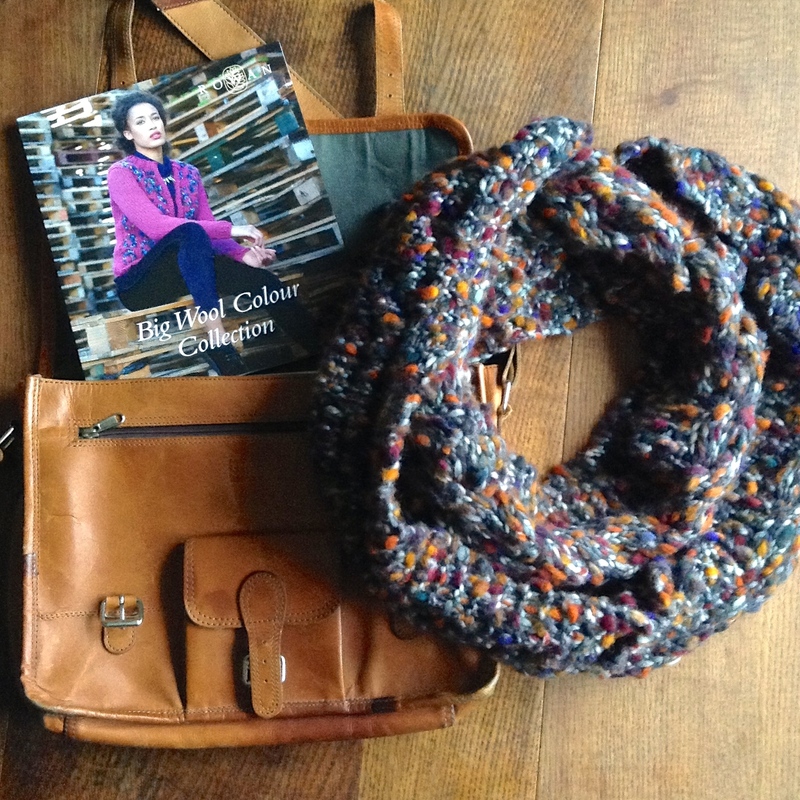 Sarah has made the chart for the brown colourway again, check out her post on Nottingham Knitter for some great tips! Have you memorised the pattern yet? I’ve knit a few squares without instructions now, and it’s making this KAL even more fun! If you have stripey squares coming out of your ears already, just remember we’re almost half way! Hooray! Chunky knits are my very, very favourite thing to knit. 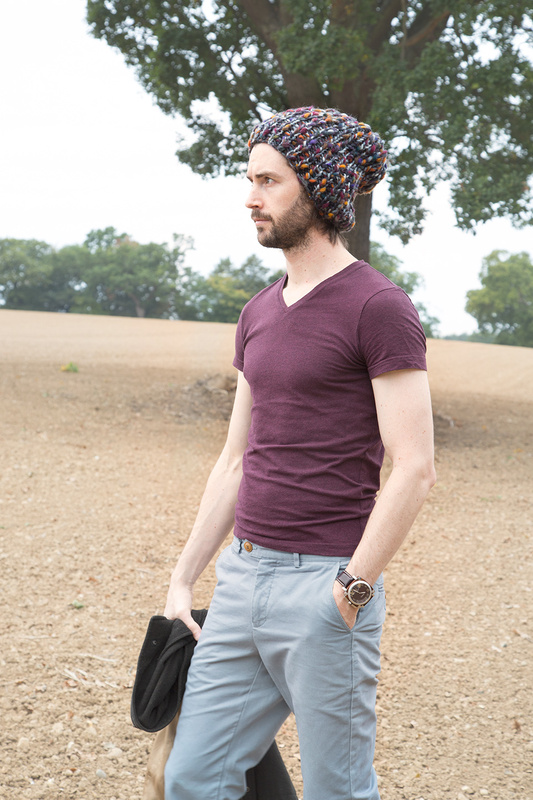 Not only do they look great, they’re super cozy and you can whip up a hat in little over one hour. What’s not to love? This season Rowan have added a Big Wool variation to their range of yarns – Big Wool Colour. It definitely falls into the category of art yarns, with its different strands of fibres intertwining and lovely slubs (bits of unspun/less tightly spun yarn) died in beautiful speckled colours. 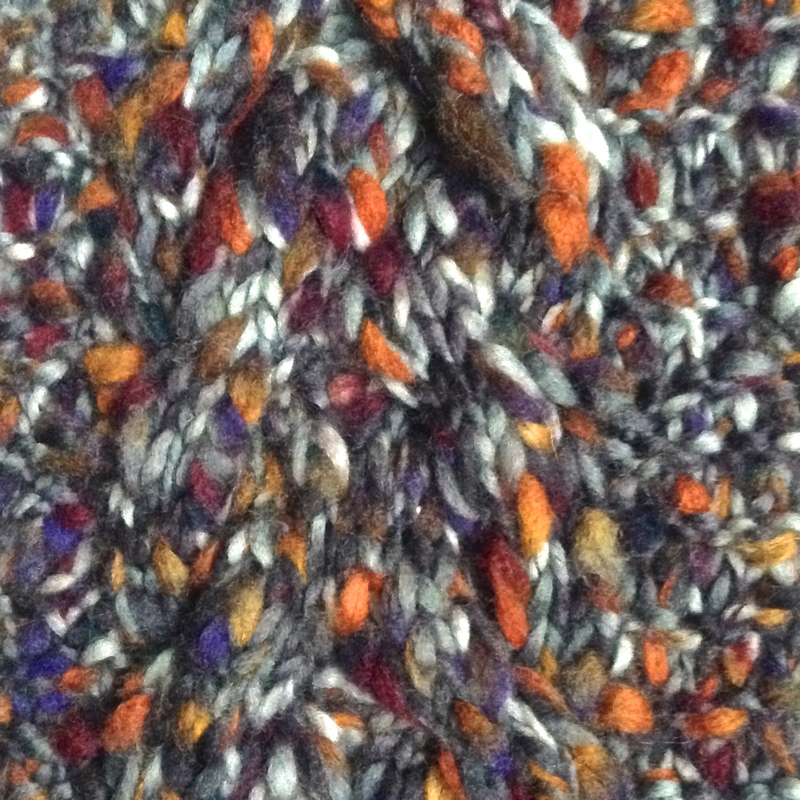 And the best thing about it is: BWC can be used in any pattern designed for the good old Big Wool too. 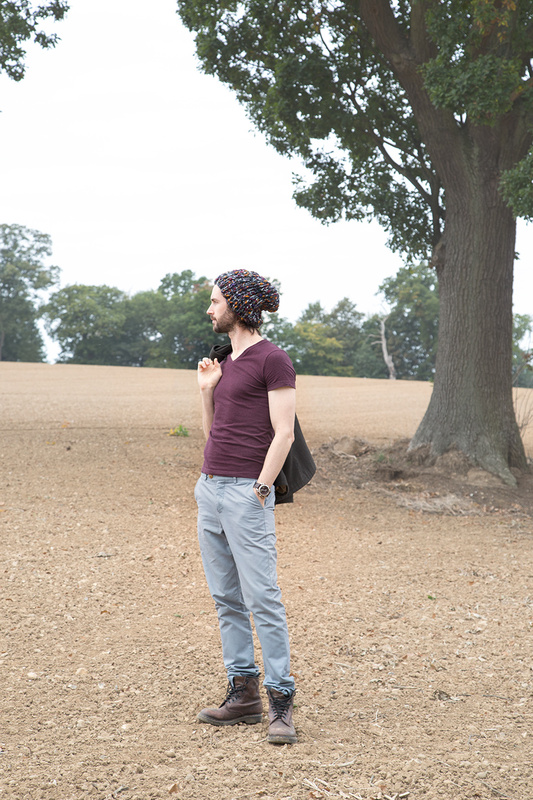 Here’s hat Salsa from the Big Wool Colour collection. It’s chunky, it’s slouchy, I love it. For the cowl I used 4 balls of Big Wool colour in shade Jamboree and Rowan’s free cabled Wool Week Cowl pattern, a quick and easy knit suitable for a beginner knitter. I used up nearly all of 4 balls. The cowl is long enough to wrap 3 times around your neck, but you could easily use only 3 balls and make it a bit shorter. Or wear it loose when it’s not as cold. The cable detail disappears a bit with all the variations of the yarn, so if I make this again with BWC I think I will go for either the stockinette or garter stitch version of the cowl. 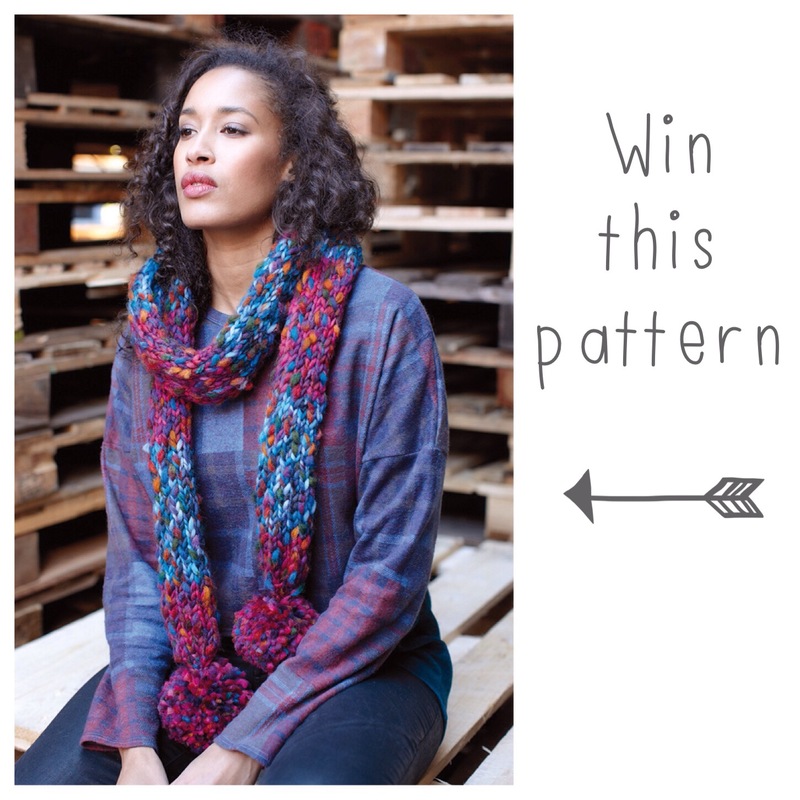 To WIN the pattern for Fandango, head over to the IamSnowfox facebook page.